Moca is a leading digital payment service provider in Vietnam. Its patented products pioneered the increasingly popular QR code mobile payment method and have gained acceptance at chains such as McDonald’s, 7-Eleven, as well as SME & micro retailers. From mid 2018, Moca joins a strategic & exclusive partnership with Grab - a leading ride hailing and consumer digital platform. 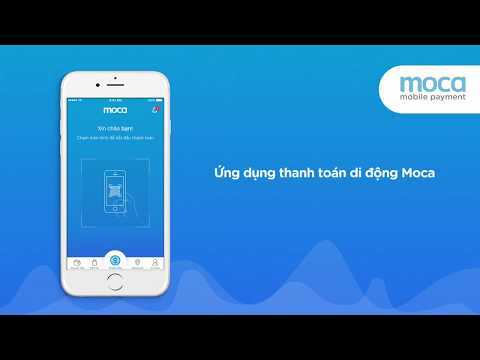 With its full-featured digital payment platform, Moca aims to bring cashless payment to everyday life in Vietnam. Moca founders & team bring together many years of working experience from Microsoft, Google & leading banks in Vietnam. As a Moca member, you'll work with one of the strongest, most balanced, dynamic Fintech team. Join us now to help make cashless payment happen in Vietnam! Annual salary review: 1 - 2 times/year. Teambuilding quarterly, physical examination annually. Great-equipped facilities with Laptop and MacBook for developer. Môi trường thoải mái, không gò bó. Mọi người khá thân thiện. Small working space but always full of laughs. No bugs here, they're features. Follow Công ty CP Công nghệ và Dịch vụ Moca to get updates about new jobs.